Three District Champions in One Week!! 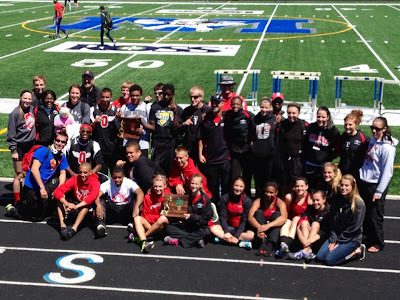 It was a pretty solid week for spring sports as Red Rider teams captured not one, not two, but THREE district crowns. The baseball team beat Chippewa 6-5 to capture their 2nd straight district title while the boys and girls track team both took 1st place at the Midview district, making it a clean sweep. The girls track team only won 3 of the 17 events, but placed in all but 1 event, accumulating 127 points on the day, beating 2nd place Triway (115 pts.) and 3rd place Keystone (100 pts.). They improved on their 2012 district showing (85 pts. and 3rd place). They will move on to the Bedford regional this week. The boys track team netted 100 points on the day, besting 2nd place Northwestern (94 pts.) and 3rd place Norwayne (83 pts.) to win the Midview district for a 2nd year in a row. They will move on to the Lexington regional this week. For up-to-date track results this weekend, check out Baumspage.com. The link for boys results is here and girls results here. Good luck to both teams this weekend as they seek to continue the annual tradition of sending multiple athletes to Columbus for the state meet. The baseball team captured their 2nd straight district title this past week by defeating Chippewa, 6-5. The Riders difficult OCC regular season schedule no doubt helped to prepare them for tournament play (as is the case in most sports). The Riders will head to Massillon's Ducky Schroeder Field this Thursday to take on Wickliffe Thursday at 5pm. If they win, they'll return to Massillon Friday to take on the winner of Youngstown Ursuline and Keystone. The baseball team now has 7 regional appearances in program history. First was in 1976, then 1979, 1995, 1996, 1998, 2012 and now 2013. Only the 1976 team made it out of regionals. That team ended as state runner ups. And finally, it appears that from this link on the Orrville schools website that Orrville AD Kent Smith has submitted his intent to retire as a teacher in the district. Not sure what this means, and not sure a final decision has been made, about his position as athletic director. Pretty sure this means he will no longer be teaching, but may return as AD if an agreement can be reached, but that seems up in the air as well. I've heard several other names already within the district who would take over the AD position in addition to their existing duties...but none of this is confirmed and seems to be changing on a daily basis. The two failures of the levy certainly played a huge part in this as the athletic department secretary position was first reduced after the first levy failed, then eliminated totally after the levy failure earlier this month, and I believe additional duties were to be added to Kent's already full plate as teacher, AD and tennis coach. I'm sure every teacher and administrator in the district will see their duties and responsibilities increase as a result of trying to provide the same level of service to our students will fewer staff on hand, and the AD role was no different. Whatever the outcome is, Kent should be commended for his years of service to the school and community. He's "first class" all the way and does things the right way. It's unfortunate to lose someone with such tireless "Red Rider" spirit and I hope in some capacity he can still be involved with the school. I have heard he will still be tennis coach, but as I mentioned above, this seems to be changing daily, so I guess we'll all find out together. With the uncertain financial picture in the district right now, tough decisions like this have to be made, and the end result will be that good people will no longer be involved in the lives of our young people. This isn't just a "sports" thing either. That's the unfortunate reality of levy failure. 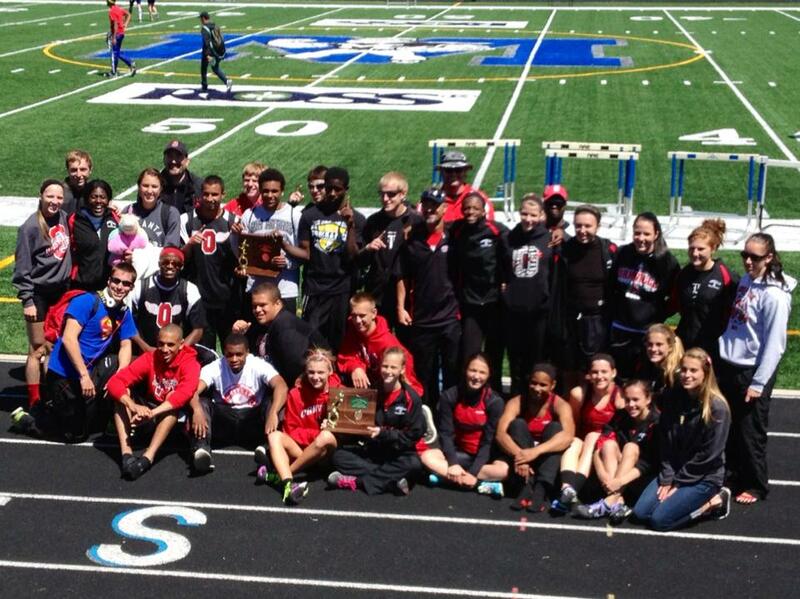 Good luck to the track teams and the baseball team as they seek to punch their tickets to Columbus!! 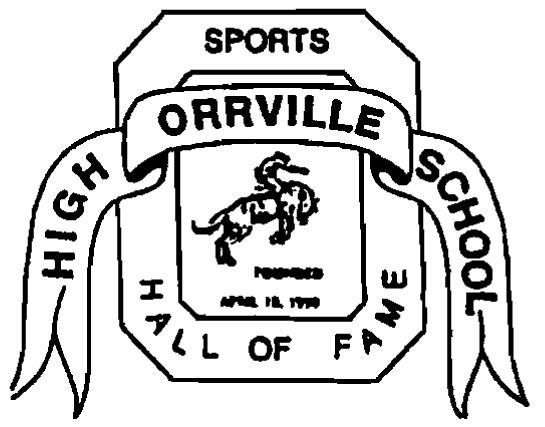 The 12th biennial induction class of the Orrville High School Sports Hall of Fame has been nominated and this year's class of 8, set to be inducted this September, is very impressive. 18 years as track and football coach at OHS as well as science teacher. Head coach of 1999 Boys track team that won a state title. Had 2 runner-up finishes at state as well as a 3rd place finish. Coached numerous state title winners and placers. Four year letterwinner in basketball. 1996 Div. 2 Player of the Year and State Tournament MVP. All-time leading scorer and rebounder in Orrville boys basketball history. One of OHS all-time greatest all-around athletes. Played in state football final in 1994 and won 2 state titles in basketball. Record setting QB at Western Michigan University, throwing for over 11,000 career yards. Received prestigeous Wuerffel Award in 2009. Given to college athlete who best displays community service, athletic and academic achievement. 2-time All-Ohio in basketball. 3rd All-time in school history in points scored, 2nd in assists and 5th in rebounds. Feature member of back to back basketball championship teams. Played WR at Youngstown State and was member of 1997 Division I-AA National Championship team. 4 year letterwinner in basketball. 1000 career point scorer, 1st team All-Ohio in 1990 and MVP of Wilbur Berkey Classic. Played on scholarship at Ashland University where he also scored over 1,000 career points and was co-captain his junior and senior years. Total of 11 letters at OHS (3 football, 4 wrestling, 3 baseball, 1 track). Team captain at Grove City College where he rushed for 2,700+ yards and 40 career touchdowns. Inducted into Grove City College Hall of Fame in 2011. Total of 30 years coaching college basketball. Head coach for 21 seasons, assistant coach at Indiana and Army. Head coach at Mississippi, Texas, Florida International and South Alabama. Author of the book "Crooked Zebra." Also to be honored on this night will be the 1995 and 1996 boys basketball state championship teams. A very solid class if you ask me. Very accomplished while at OHS and beyond. Counting these 8, there are now 98 members of the OHSHOF, dating back to the first class inducted in 1991. A list of prior inductees can be found here. Once again allow me to remind my readers as to how the process works. First and foremost, the OHSHOF Committee DOES NOT select nominees. Nominations must be submitted by the general public. Committee members cannot nominate anyone either. This is done to preserve the integrity of the organization. All nominations are voted on and the top 20 vote getters move on to the final voting round. All committee members must then vote for 10 of the 20. Of that top 20, all who receive a majority vote of present committee members (if there are 15 committee members present, a majority would be 8 votes) are selected for induction, with no more than 10 members per class being selected. Inductees must accept the honor and be able to attend an induction ceremony. There have been alumni who have turned down the honor...and there are deserving alums who have never been nominated. There are some in this years class that have been on the nomination list since 1992 and are just now getting in and some that were just nominated a few years ago. 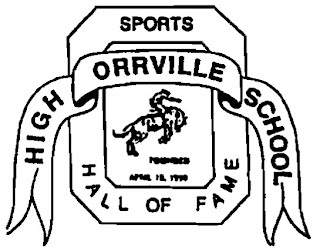 "To select people who have distinguished themselves in one or more sports at Orrville High School, any college or university or other area of amateur and professional athletics or who have made meritorious efforts on behlaf of athletic programs in Orrville, Ohio." This year's induction will be held on Saturday September 14th at the high school. The induction portion of the evening will take place in the newly renovated auditorium. Very excited for that as it will be the first chance for many to see what I've heard is a beautiful space. Tickets are $25.00 per person and that includes a meal. More information will be forthcoming as we get closer to September. The committee was again proud to present two $1,000 scholarships to graduating seniors at last week's Senior Assembly. This year's recipients were Kevin Weber and Tatiana Bullard. Funds raised from the induction dinner and the annual golf outing fund these scholarship efforts. The annual OHSHOF Golf Scramble is in two weeks (June 8th) at Riceland. Cost per player is $40 or $160 per 4-person team. This is our one major fundraiser of the year and helps us continue to provide two $1,000 scholarships to graduating OHS seniors. Click here for an information sheet as well as a hole sponsorship form. Holes can be sponsored by individuals, businesses, graduating classes, etc. Another school year is winding down and with it, the spring sports season. Tourney draws were held last weekend for baseball and softball, conference tourney for tennis was yesterday and this week for track. Read below for a brief update on each....and for an update on longtime Orrville teacher/coach Rick Remenaric who is battling some pretty serious health issues.